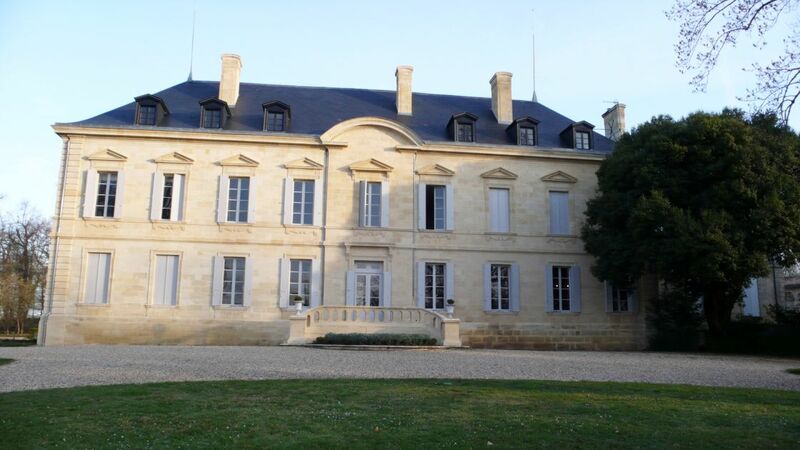 Chateau Siaurac has a long family history in the region. At the beginning of the 17th century, it is thought that a gentleman by the name of Ciorac founded the Siaurac estate, to which he gave his name. In 1832, Pierre Brisson, the chairman of the Libourne Council and the Caisse d’Epargne savings bank, bought the property from the mayor of Néac, Monsieur Rabion. His son Benjamin Brisson had the House built in the XVIIIth century style. 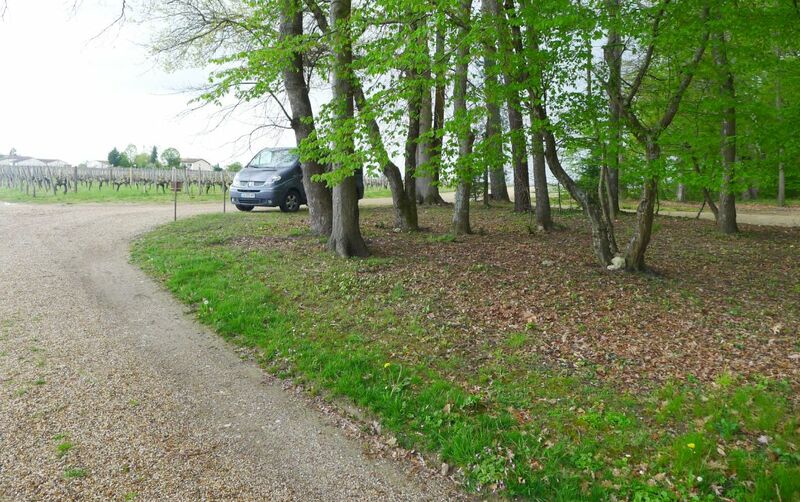 His grandson Joseph, the mayor of Néac and a Gironde member of parliament, commissioned L. B Fischer, the best landscape designer of his time, to create a romantic park in place of the vines in front of the House and bought nearby vineyards, turning Siaurac into the largest estate in the area. In 1897, in Saint-Emilion, he bought the Premier Cru des Cordeliers, a vineyard founded in the 17th century by the Berthomieu de Meynot family, and renamed it Le Prieuré. 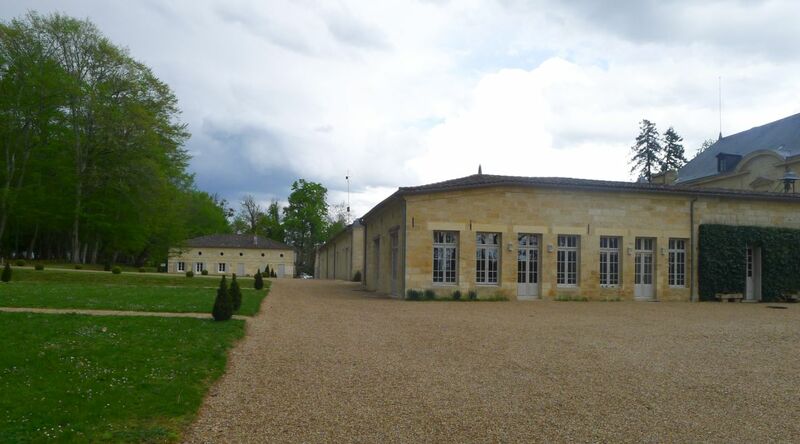 He also purchased Domaine des Grands Champs near Trotanoy in Pomerol. 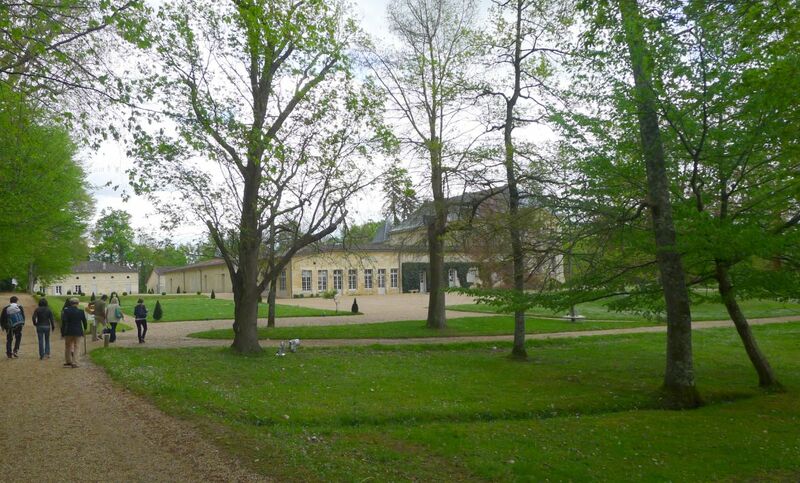 In 1949, his daughter Madeleine and son-in-law Louis Guichard bought Château Vraye Croix de Gaye close to Petrus and merged it with Domaine des Grands Champs. Their son, Olivier Guichard, secretary for General de Gaulle and a state minister, launched in 1998 the modernization of the vineyard. When Olivier Guichard passed away in 2004, Paul Goldschmidt became the general manager and accelerated the process of modernization. Between 1998 and 2013 half of the vineyards were replanted, carefully taking into account the results of soil study analyses, and the cellars were renovated and updated. In 2014, Artemis Domaines (Groupe François Pinault) have taken a minority shareholding stake alongside Paul Goldschmidt. Their arrival, and the technical agreement which followed from it, has brought the estate new impetus: Pénélope Godefroy who arrived from the Château Latour team, has taken over the technical management. 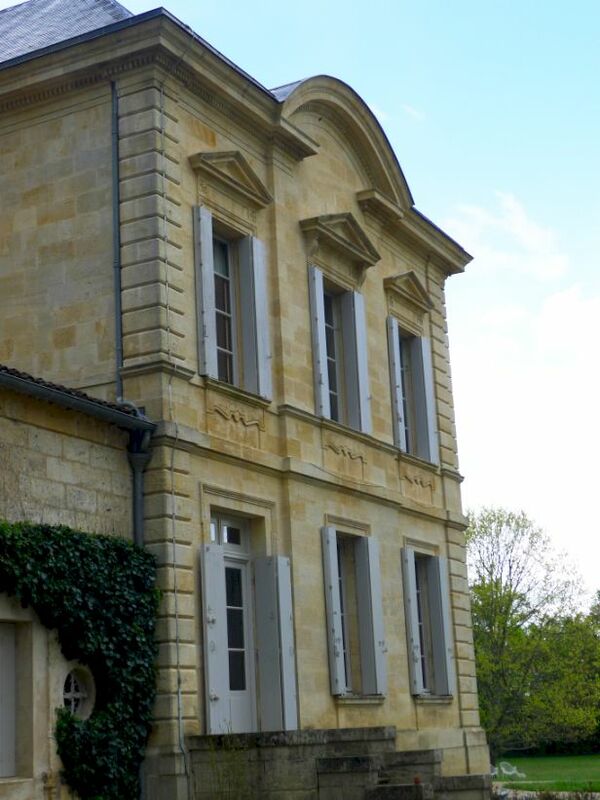 Chateau Siaurac has a long family history in the region. 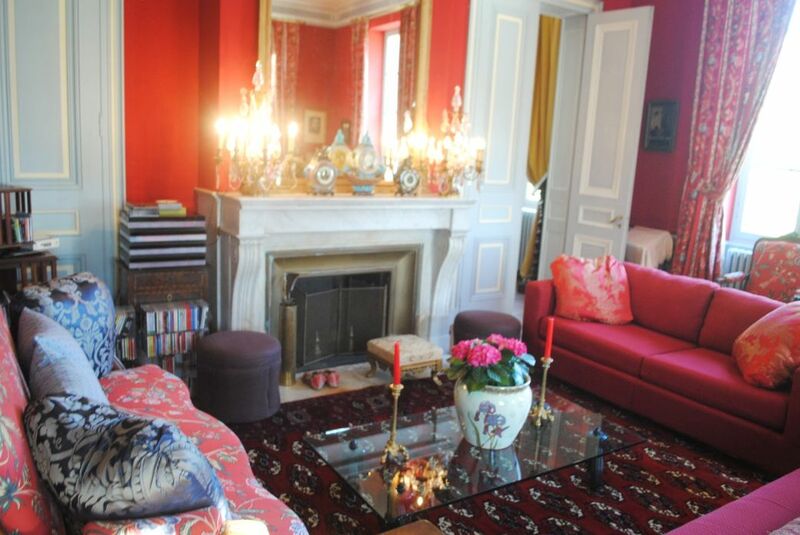 The property dates back to 1832 for the Guichard family. The large, 36.5 hectare Chateau Siaurac vineyard is planted to 75% Merlot , 20% Cabernet Franc and 5% Malbec . The terroir is gravel and clay soils that comes from 2 adjoining parcels. 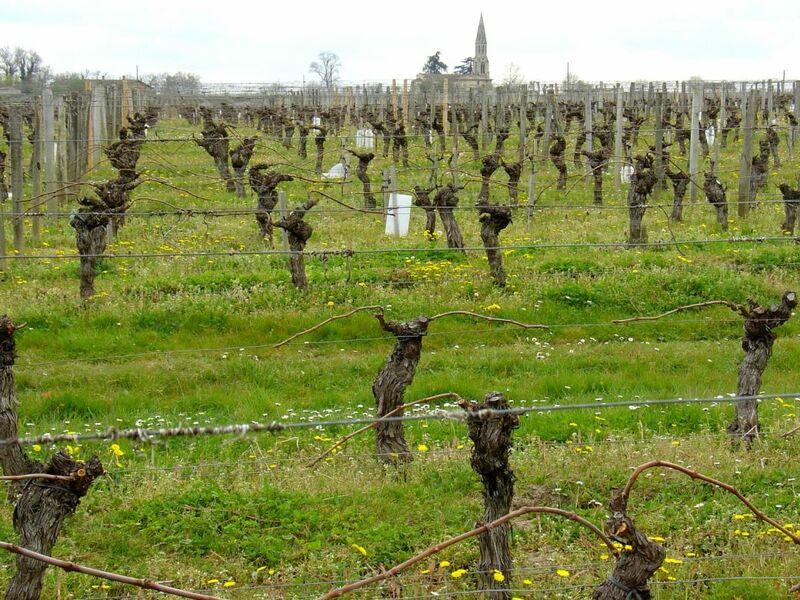 The vineyard of Chateau Siaurac is planted to a high, vine density of 7,100 vines per hectare. Since 2008, the vineyard has practiced only sustainable farming management. Starting with the 2016 vintage, the estate moved to using only 100% organic and biodynamic farming techniques. The property is absolutely stunning.. 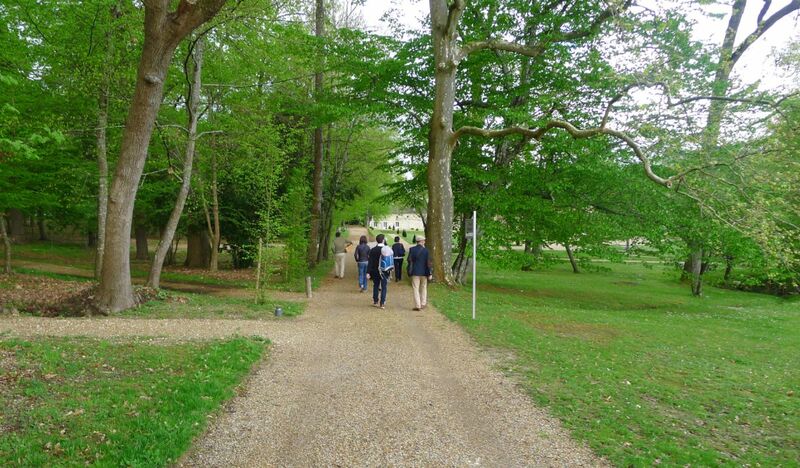 Here we are walking from the parking lot to the chateau. Vineyard is on the left. The large 90 acres Chateau Siaurac vineyard is planted with 75% Merlot, 20% Cabernet Franc and 5% Malbec. The vinification of Chateau Sirauc takes place in a combination of concrete and stainless steel vats. The wine is aged in 15%, new, French oak barrels for an average of 12 months. 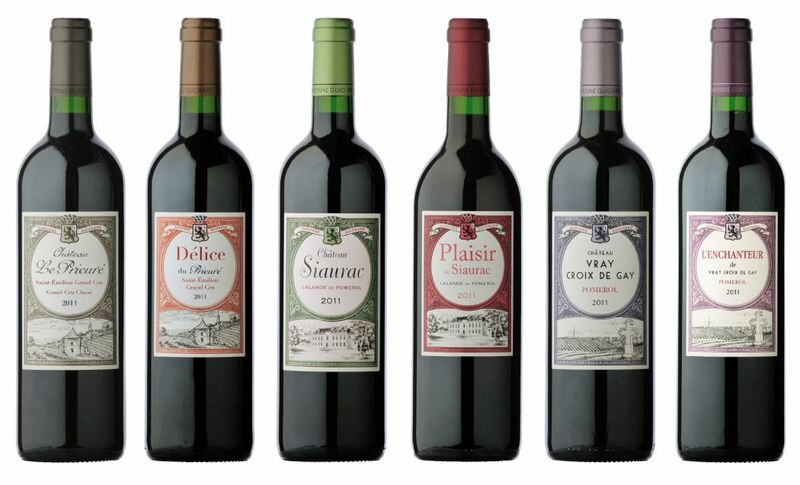 There is a second wine "Plaisir the Siauriac" which is usually made from 100% Mertlot. 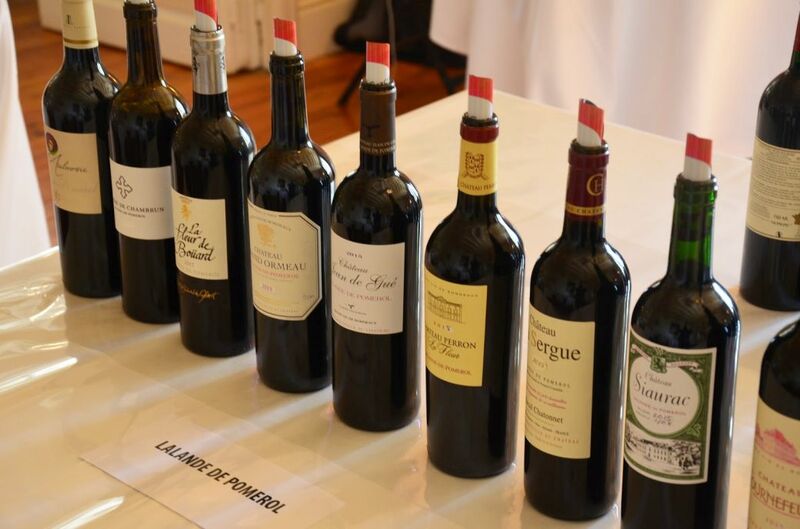 The production for Chateau Siaurac is on average close to 18,000 cases of wine per vintage. The terroir is gravel and clay soils that comes from 2 adjoining parcels. The vineyard of Chateau Siaurac is planted to a high, vine density of 7,100 vines per hectare. 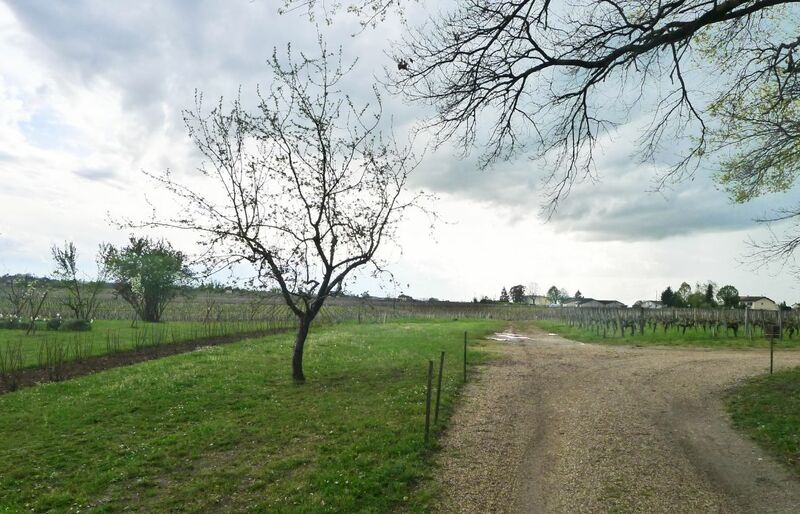 Since 2008, the vineyard has practiced only sustainable farming management. Starting with the 2016 vintage, the estate moved to using only 100% organic and biodynamic farming techniques. 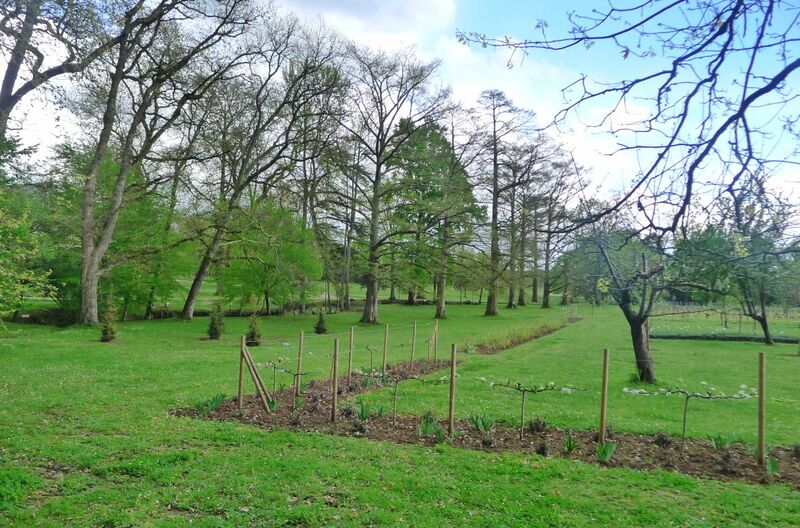 On the property 37 acres of land you will find and English-style landscaped garden made up of vast lawns, ponds and winding paths. 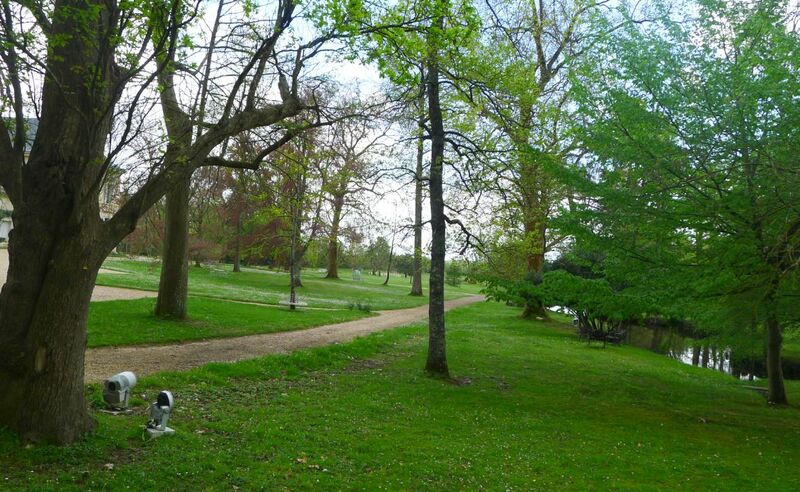 It featured over forty species of different trees that endowed the place with a poetic air. 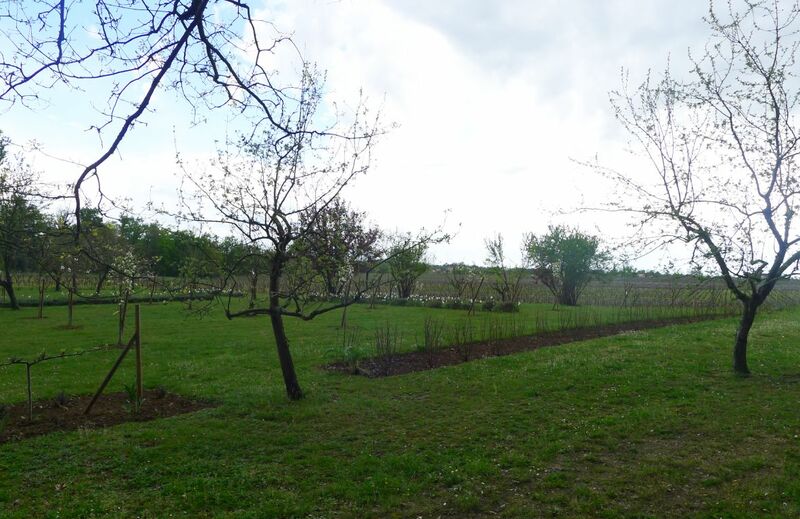 A stroll through the garden leading away from the main path, a number of beehives can be spotted, from where honey is taken to be served at breakfast. Continuing along the path are mature trees and some of them are over 300 years old. 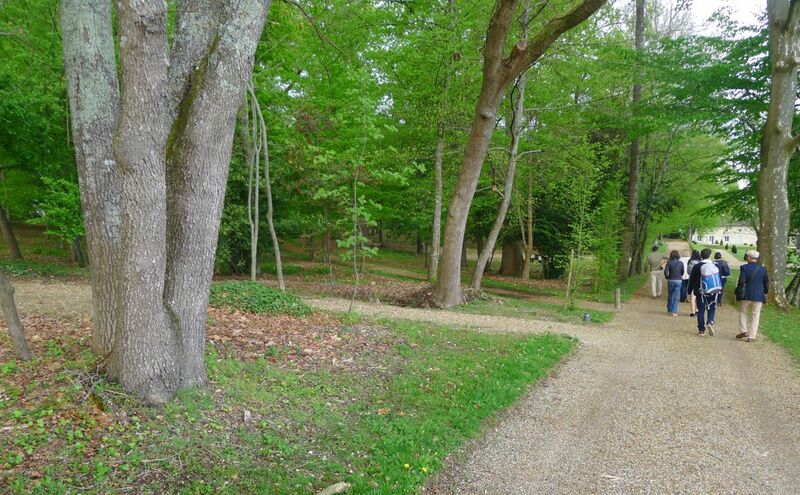 The property has 150 years old sequoias, Virginia tulip trees, bald cypresses, pyramidal oaks, and liquidambars. I was told in the fall it is a beautiful sight as the vivid and warm color of the foliage glows brightly. 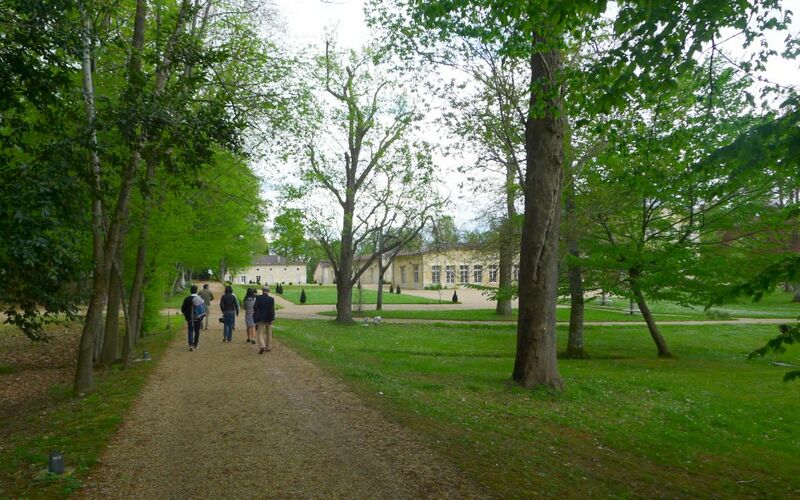 This property is absolutely beautiful-No wonder the park is classified "Jardin Remarquable", one of the eight in the Gironde. We are close to the chateau now. 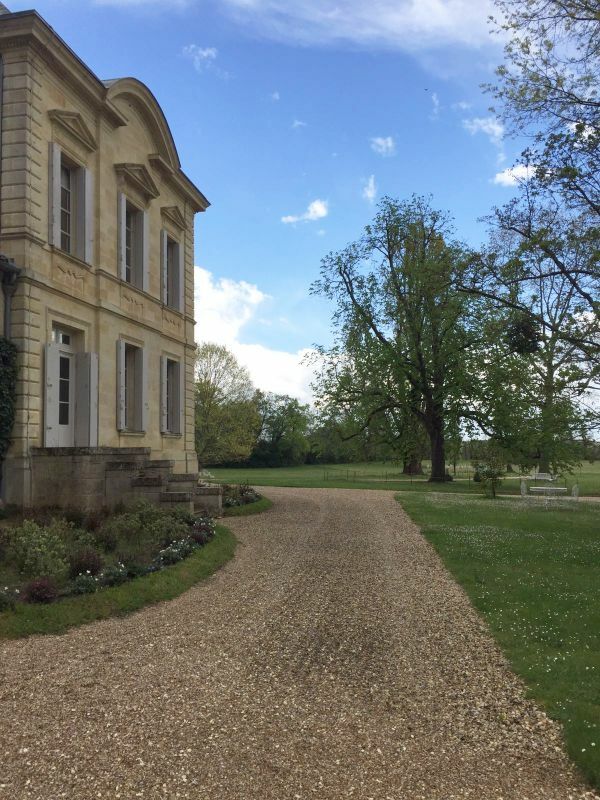 Chateau Siaurac is the most beautiful estate in the Lalande de Pomerol appellation with its stunning chateau and manicured grounds, gardens and parkland, which were designed in 1850. You can stay at the chateau overnight-La Nuit Enchanteresse : 380€/2 people - including:Aperitif in the library, gourmet candle-lit dinner served in the château’s dining room. The night spent in one of the château’s bedrooms with view of the grounds. Breakfast with Chef's pastry and eggs from our hens, served in the African kitchen. 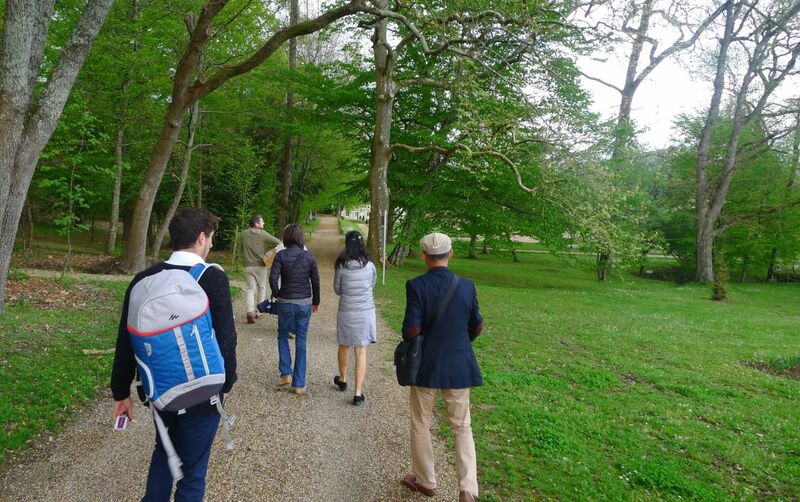 A guided tour of the wine estate, visiting the château and the owner’s collections. Aperitif in the library, gourmet candle-lit dinner served in the château’s dining room. The night spent in one of the château’s bedrooms with view of the grounds. Tasting workshop based on the grape varieties of our terroirs. “Straight from the market” menu served in the orangery with wines from Siaurac. A nap, a spot of reading and a game of boules in the landscaped grounds. Originally our host, Jean louis only let us taste a bottle of Chateau Siaurac and their second wine Plaisir de Siaurac. Hoa and Minh actually really like Chateau Siauriac and bought a full case of 12. Afterward we asked Jean Louis since he advertised so much about the Vray de Croix de Gay, located next to Chateau Petrus, if we could have a tasting. Jean Louis had to pull a few strings before he got to okay to open a bottle. The Chateau Siaurac we bought is about $40/bottle and the Vray de Croix de Gay is about $120. Minh and Hoa said for that price they have a lot of choice from California. 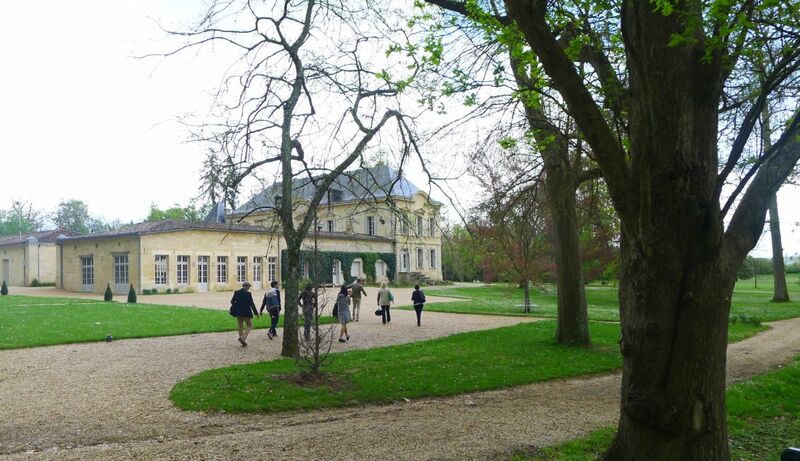 Anyway, out of the two chateaux we visited in Saint Emilion Chateau Siaurac is our favorite. The chateau is really beautiful and the property is simply stunning. 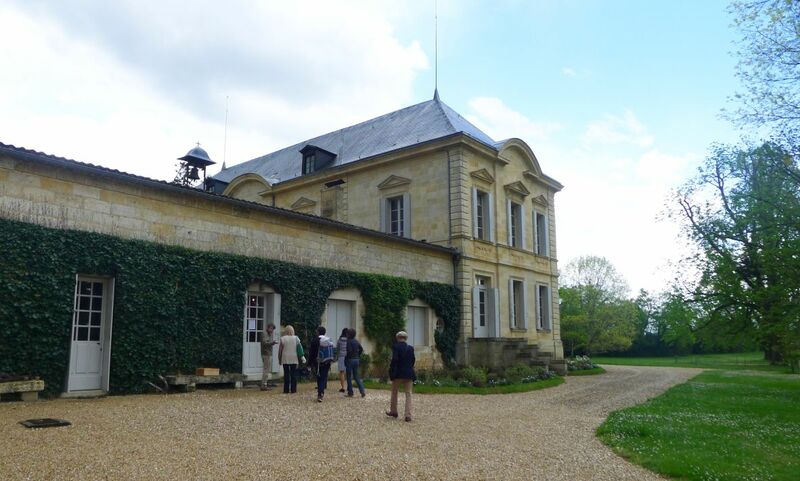 Jean Louis was also a great host and we simply had a very good time and learned a few things listening to him explaining how the chateau is run and how the wine is made.